South Korea’s office building market is poised to continue its record-breaking growth, buoyed by heavy money inflows from overseas investors and the country’s high net worth and retail blind funds, despite concerns about supply and rising borrowing costs, said a senior manager of Savills Korea. Not-too-tight cap rates, or the spreads between the average yield of grade-A buildings and the five-year treasury bond yield, mean further room for price increase, Crystal Soojeong Lee, CEO and head of investment advisory of Savills Korea, told the Korean Investors. “The domestic real estate market is overflowing with money not only from domestic and foreign institutional investors, but also from blind funds of retail investors,” she said in a recent interview. “Although the base rate is lifted once or twice, demand for prime office buildings in central business districts will remain intact,” said Lee, a Ph. D in real estate financing. She was appointed as CEO of Savills Korea in March of this year. Total office building investment volumes in South Korea reached 3.8 trillion won ($3.4 billion) in the April-June quarter of this year, nearly triple the 10-year average for the same period. Core office asset transaction volumes in the first half of this year were equivalent to 70% of whole transactions made in 2017 when the domestic office building investment market saw its most active year. Overseas investors accounted for 13% of the first-half transaction volumes, which included a $1 billion purchase by M&G Real Estate. Lee attributed rising interest in South Korea’s big office buildings to their high cap rates and good locations and conditions. With the increase in real estate funds and REITs, market transparency has improved, too. Of six office building transactions of more than $500 million made between January and September of this year, three deals –K-Twin Tower, Centropolis Tower and Samsung C&T Corporation’s Seoul office – were sealed in South Korea, setting new unit-price records. Lee said that South Korea’s commercial property market would be attractive in particular for large-size global investors with a broader tranche spectrum, advising them to employ “build-to-core” strategy. Investors are also increasingly looking to storage facilities and commercial stores, she added. Meanwhile, Abu Dhabi Investment Authority (ADIA) plans to sell a 14-story office building in Seoul up for sale, in a deal expected to fetch between 550 billion and 600 billion won, amid concerns over new office supply and higher interest rates. A South Korean builder, which acquired a former Korea Exchange Bank office building in central Seoul for 900 billion won late last year, has also put it back up for sale recently. 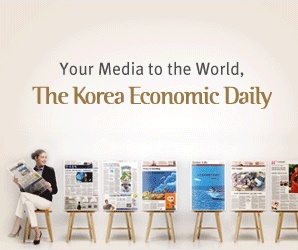 The Bank of Korea lowered the growth forecast for the South Korean economy growth to 2.7% last week from 2.9%, and left the base rate unchanged at 1.5% for a 11th consecutive month. Savills Korea advised on the sale of Samsung C&T Corporation’s Seoul office for 750 billion won and Centropolis Towers for 1.1 trillion won this year.